Jypyä Pop (Turku, Finland) on 19 January 2018 in Landscape & Rural and Portfolio. Let's hope those feathers are warm enough and that it can find enough food. 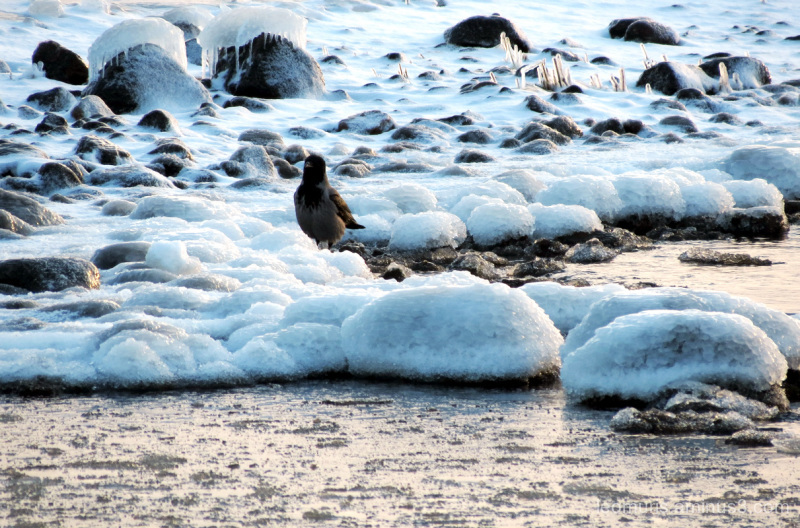 Lovely image of the bird and snow. Wonderful winter view !! I like it. A tough one in the snow !! I like the light in this image. I hope he stays warm. @Ruthiebear: Thank you. I believe that he is ok.
Une très belle photo d'hiver !!! Luckily for them, the cold feeling is different between them and us. Nice capture. Beautiful capture of the bird in winter condition . @yo: True, in winter, finding food is more difficult. That crow is a boss!! Beautiful snow and icicles on the rocks and grass. wonderful capture of this lone bird among the snow !